Concrete. Ghazal. Lai. Pantoum. Prose poem. Rondeau. Rubáiyát. Poets: Adam Zagajewski. Aleda Shirley. Billy Collins. Billy Collins exercise. Snorri's Edda. Carl Dennis. Charles Atkinson. Chase Twichell. Corey Marks. Franz Wright. Galway Kinnell. Gary Young. The Gawain Poet. J. D. McClatchy. J. Zimmerman. J. Zimmerman (haiku). J. Zimmerman (tanka). Jack Gilbert. Jane Hirshfield. Jean Vengua. Jorie Graham. Karen Braucher. Kay Ryan. Les Murray. Louise Glück. Len Anderson. Li-Young Lee. Linda Pastan. Nordic Skalds. Pulitzer Poetry Prize (U.S.A). Richard Hugo. Robert Bly. Sara Teasdale. Snorri's Edda. Stephen Dunn. Ted Kooser. W.S. Merwin. 2010 with "The Dark Rides" (guest editor Amy Gerstler). Books: The Practice of Poetry. Poetry. Editing. Time line. Links and Books. I would choose poetry because it's my responsibility. I feel responsible for telling things in the particular way I tell them. I'll close with three poems that are part of a series sprinkled throughout the book that explores the possibility of how the poet (like Keats, Whitman) can be intimate with the reader. Her fourth collection of verse. Twenty-eight poems (given sequential Roman numerals) presented in a single untitled section. Her fifth collection of verse. Presented in seven untitled sections. 77 poems, 82 pages, average of 1.1 pages per poem. For pages per poem, the mode is 1 pages (72 poems); 5 poems are 2 pages. Lines per stanza (rough count) shows a mode of 3 lines, followed by 2 lines, then 5 lines. These are the only significant stanza lengths. 7 poems have a single stanza each. 7 poems have 2 stanzas. Buy The Practice of Poetry, Edited by Robin Behen and Chase Twichell. Born New Haven, CT, USA. Bachelor's degree from Trinity College, Hartford, CT, USA. MFA from University of Iowa. Began working at Pennyroyal Press. Ended working at Pennyroyal Press. Began co-editing the Alabama Poetry Series. Ended co-editing the Alabama Poetry Series. Editing (with Robin Behen): The Practice of Poetry, Edited by Robin Behen and Chase Twichell. Poems: The Ghost of Eden. Poetry reading in San Jose, CA, USA. 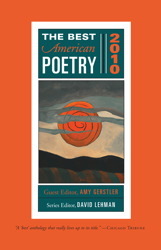 Poem in 2010 Best American Poetry. Books of Poetry Form. Alphabetic list of poetry forms and related topics. How to Write Poetry. Copyright © 2007-2016 by J. Zimmerman, except for the quoted poems.